One benefit of blogging is that the constant publishing schedule has forced me to become a better writer. The pressure of creating 3 posts per week and getting my point across in around 600 words or less forces you to improve as a writer or lose readers. 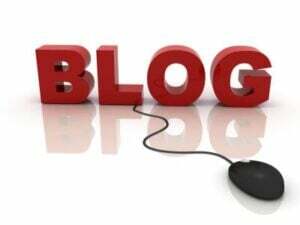 Another activity that has helped my writing is by reading other blogs. This exercise not only introduces me to new topics and content but also exposes me to different writing styles. Below are listed 9 blogs that I enjoy reading for their helpful content but also for their writing style. The Content Marketing Blog – Written by Joe Pulizzi to look at the trends in content marketing. Top Rank Online Marketing Blog – Written by Lee Odden and Susan Misukanis to helps companies increase sales, brand visibility online, and develop better customer enagagement. Social Media Examiner – Online magazine created and edited by Michael Stelzner designed to help businesses discover how to best use social media tools like Facebook, Twitter, and LinkedIn to find leads, increase sales, and generate more brand awareness. Convince and Convert – Written by Jay Baer to help build integrated social and content programs. Beth’s Blog – Written by Beth Kanter to discuss how networked non-profits are using social media to power change. Inbound Internet Marketing Blog – Written by the team at Hubspot to discuss SEO, blogging, social media, landing pages, lead generation, and analytics. Conversation Agent – Written by Valeria Maltoni to connect ideas and people – how talk can change our lives. Brand & Capture – A blog from Kuno Creative to help you build your brand and capture leads. Social Triggers – Written by Derek Halpern to help you learn how psychology helps you get traffic and sales. Above are 9 blogs I read on a daily basis and now I would like your input for #10. Let me know the blog you would add to make #10. Post your suggestion in the comments section below or on the SchneiderB.com Facebook Fan Page. Are these still the blogs you read today or are there others that you now recommend? Hi @alyssadillon:disqus – Thanks for the suggestion! The Prepary by Jamie Petkanics. Great source on the job search, career advice, office productivity and marketing yourself. Plus it has a great blog design! Yeah Great Share @schneiderb:disqus . Thanks. @cksyme Thanks for commenting Chris and great suggestion! @tuckerkimball Thanks for the taking the time to comment Tucker and Copyblogger is a great suggestion! Nice post, Brendan. I’d add the copyblogger blog to that list. http://www.copyblogger.com/blog/ Always spot on and typically very funny. Thanks for your feedback and for taking the time to comment. I wasn’t aware of your site but will be checking it out ASAP. Great list Brendan, you hit on many of my regular reads. I’d love to throw our Marketing Trenches blog in the hat as well at http://www.marketingtrenches.com. Our focus is to provide marketers & business executives with concrete examples of successful marketing strategies and tactics. I hope you enjoy the read! Your most welcome. Thanks for taking the time to comment and to offer your suggestions. Keep up the great work…I love reading your blog. Thanks for the mention Brendan! I’m a fan of MarketingProfs & MarketingSherpa blogs, Heidi Cohen and ClickZ put out some great marketing content too. Cheers. I’d add http://www.seomoz.org/blog to the list. Fun writing style meshed with consistently amazing insight. Not sure how they pull it off, but they’re slapping hard line drives to the gaps every day. Terrific stuff. Thanks for reading Chris and for taking the time to comment. I am aware of a few of these but not all of them. I will be checking them out very soon! Thanks for taking the time to comment. I was unaware of these blogs but will be checking them out for sure. Thanks for the addition Mike. I do enjoy Mitch’s blog and think other would as well. Thanks Chris. I’m also a big fan of Michael Stoner and Andrew Careaga’s blogs. Great stuff from the higher ed community. All three offer fantastic insight on branding. That is a great list. I also read Smart Breif on Social Media (SME product)–it’s delivered to email inbox and follow Jason Falls’ blog, Social Media Explorer. Copyblogger is very good blog for straight blogging advice. I think there are several higher ed blogs that focus on social media and branding that are musts including the CASE social media blog, Michael Stoner (Mstonerblog), Eric Stoller, Higher Ed Marketing by Andrew Careaga, and BlogHighEd, which is an RSS feed of many Higher Ed blogs and deliverable to inbox or RSS.